We pursued our passion to educate people about amazing health benefits and medicinal qualities of camel milk. Under the supervision of specialists and experts, we developed an incredible formula. Our enhanced camel milk formula is all produced from the highest quality herbs, finest and most valuable natural ingredients maximizing the goodness of camel milk. “Susu Unta Camel Milk Powder” is high in specific vitamins and minerals especially B vitamins, vitamin C and iron, needed for proper immune system function. The results of this amazing products are mind blowing. “Susu Unta Camel Milk Powder” is a good source of protein. It is a miracle product for babies suffering from malnutrition. It contains disease-fighting immunoglobulins which are small in size, allowing penetration of antigens and boosting the effectiveness of the immune system. Moreover, “Susu Unta Camel Milk Powder” has impressive antibacterial, antiviral and anti-tumor properties. It stabilizes Blood sugar levels much faster with better results, minimizes joint pain, clears brain fog, and reduce fatigue within a very short period of time. Our camel milk powder contains nutrients that help battle anaemia, osteoporosis, allergies, auto-immune diseases, and autism. We believe in the most sophisticated management practices for food safety and quality. Our milk processing plant is located in Kelantan, Malaysia . By the grace of Allah, we incorporate closely monitored practices and techniques matching highest international standards. We proud to establish the world’s most advanced and fully integrated camel milk production facility. Our camel milking plant is equipped with state-of-the-art technology up to latest standards. “Susu Unta Camel Milk Powder” is certified by Food Safety and Quality Division, Ministry of Health Malaysia. Our farm facilities and the processing units are licensed and fulfills strict requirements for export. It's very important for us that we deliver the best standards for our customers. We use sterilized, sealed and quality steel containers for storage and transport optimizing milk hygiene. Our camel milk technology incorporate the latest methods of milking and creative ways of defying the harsh weather. The procedure involves attaching vacuum tubes to the udders protecting milk from contamination due to air contact. Our labors are properly trained about the milk handling techniques. Regular training and extension programs are carried out to raise awareness on clean milking and handling practices. The milk is routinely tested for bacteria and pathogens. Each and every one of us is committed to deliver you 100 percent safe milk. The miraculous health benefits of camel milk in powder form are delivered to you in an attractive polythene sachet with extra care and love. The hygienic packaging ensures that all nutritional values and properties of fresh camel milk are reserved bringing the best value for money and highest standards in terms of quality. Susu Unta Camel Milk Powder Awarded with Malaysian Halal Certificate. “Susu Unta Camel Milk Powder” fulfills the stringent halal regulations of the Malaysian authorities. During the whole procedure, we make sure to maintain the sanitary conditions, quality and natural purity of our product. Our efforts and optimism have enabled us to reach out to the global consumers. “Being the Sole Distributor in Asia”, we have successfully introduced our product in Malaysia, Pakistan, Thailand, Indonesia and Vietnam. We further aim to sell, promote and expand the consumption and distribution of “Susu Unta Camel Milk Powder” in international markets making a significant contribution to the global halal food sector. Our marketing heads are continuously designing strategies to make more and more efforts to make people aware of the virtues of camel milk by organizing seminars, symposiums and display vans. Susu Unta Camel Milk Powder is delivered free of cost all over Pakistan with cash on delivery service. Extensive research from world’s most renowned scientist reveals that camel milk is best to be used in powder form. After 20 hours of milking, the growth of pathogenic bacteria starts to increase rapidly in camel milk which is extremely harmful for our immune system and leads to liver infection. 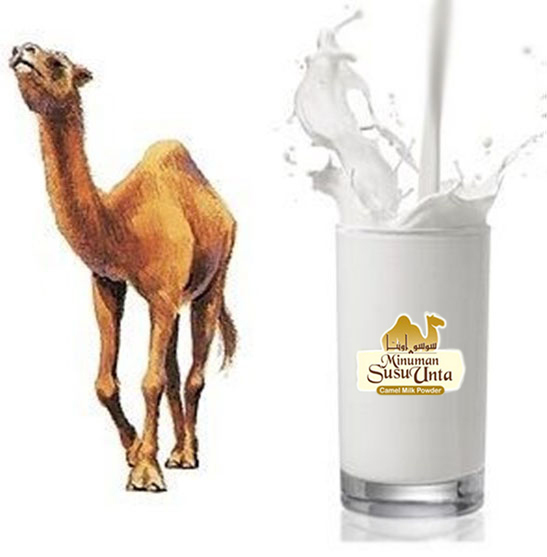 “Susu Unta Camel Milk Powder” is the ultimate solution to avail the miraculous health benefits and medicinal qualities of camel milk while enjoying a delicious taste. New Global Enterprises is the pioneer in introducing the highest quality camel milk powder in Pakistan. “Susu Unta Camel Milk Powder” is currently supplied to more than 3000 outlets after importing from Kelantan, Malaysia. We aim to continuously increase our business further expanding it internationally. At New Global Enterprises, we strive to be the preferred choice to fulfill the nourishment needs of society and to be the most efficient and reliable provider of premium food products.